When you set out on an outdoor adventure, comfort might not be the first thing you consider. Until you lay your head down to sleep, that is! After a long day of hiking and perhaps some hunting and other fun, there’s nothing better than a comfortable bed. 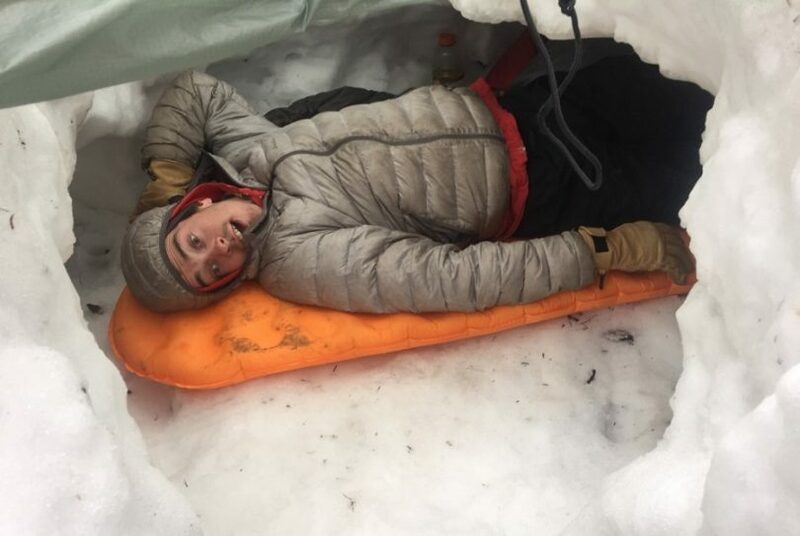 There are a number of options out there but, when looking for the best backpacking sleeping pad, it’s important to consider them all. Only once you have taken the time to compare prices, benefits, and disadvantages, should you make your final decision. It’s also a good idea to test your sleeping pad at home before taking it out on an extended backpacking experience. Getting enough rest each night will ensure higher energy levels, and you will definitely enjoy your trip that much more. Many outdoor enthusiasts will agree that finding the best camping sleeping pad is all about preferences and the conditions you will likely encounter. Different sleeping pads serve different purposes and suit different needs. So, keep this in mind while shopping. Manual inflation air pads are easy to use and lightweight but you will need to use a manual pump to inflate them and, although they are usually really durable, they can get a puncture if you’re not careful. Self-inflating air pads inflate on their own which is an added bonus. They are very much the same as manual inflation pads but slightly heavier. Closed cell foam sleeping pads are some of the lightest and basic options out there. They don’t inflate so they won’t puncture, and they are also really cheap. 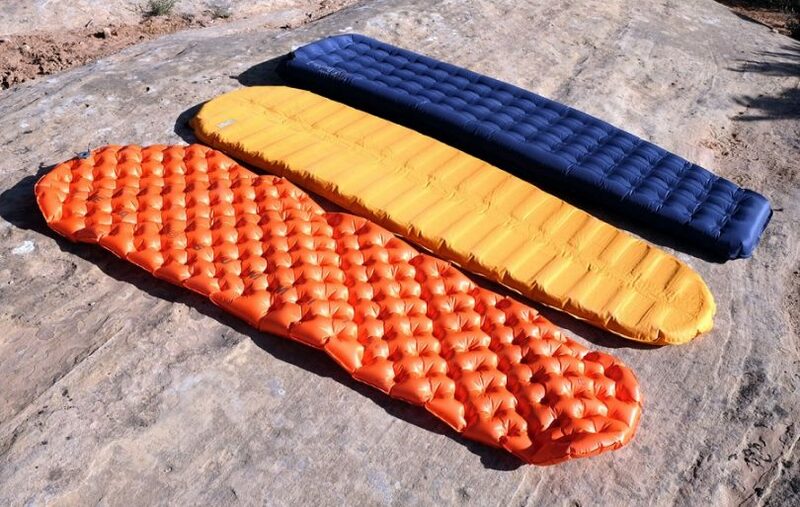 In addition to these main types of sleeping pads, it’s important to understand that they come in a wide variety of shapes, sizes, and colors. They also offer various features like built-in pillows which can be a bonus if you find it a helpful sleep aid. You can also take a look at our reviews of the best backpacking liners for more options. Different sleeping pads are made to serve different purposes. Some might be great for certain conditions but dreadful in others. Understanding your needs and the limitations of various designs will help you make the best, realistic choice. Car camping and boat camping mean that you don’t need to worry about carrying heavy packs. In this case, thick mattresses are great because they offer the most comfort of all. Backpackers need comfort in a small, light package. If you choose a thicker sleeping pad, you will need to be prepared to carry it around on your back from spot to spot. Some models can be paired with chair kits, which means that your bed can also act as a comfortable chair to use around the campfire or whenever you feel the need to take an extended break. If you plan on traveling long distances on foot, then the lightest option will be your best bet. Even if it means more effort to inflate – you will enjoy less weight on your back each day. If you are planning a trip in winter, you will need to opt for a sleeping pad that will offer added protection against the cold. Some might even recommend the use of a foam pad to line the floor with an air pad on top of it for comfort and extra warmth. The foam pad also helps ensure that you have a warm place to lay your head if the air pad gets damaged. You might want to check on our piece on the best camping air mattress for more choices. The best sleeping pad for camping is the one that caters to your needs and budget. Backpackers will agree that spending a bit more is worth it when you consider the better quality and benefits of the more expensive products. 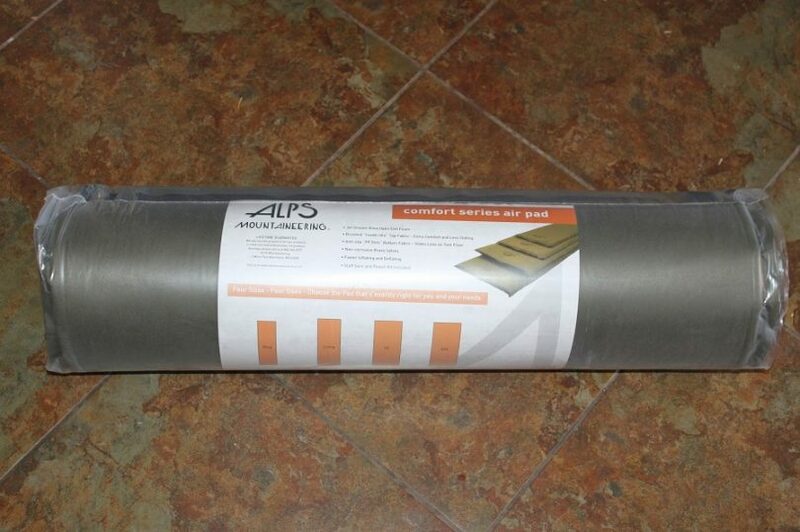 Insulation is an important factor to keep in mind when comparing various sleeping pads. Not all sleeping pads offer the same amount of insulation which means that they are not all suitable for all weather conditions. 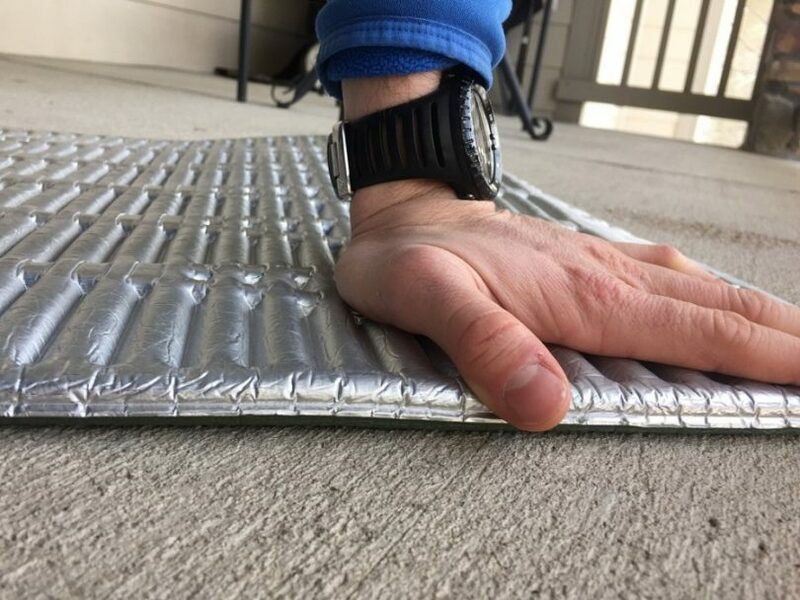 The foam pad will offer a different amount of insulation to that of an inflatable pad while some pads have heat reflective material built-in which means that your body heat is redirected back to you instead of allowing it to venture down to the ground below. This means that you are that much warmer throughout the night. Sleeping pads also come with R-values. This measuring system indicates the kind of insulation you can expect. The higher the R-value, the greater the insulation, and the warmer you will be. An R-value of 2.0 might be suitable for warm weather, but you will need something around 4.9 if you want to keep warm in winter. 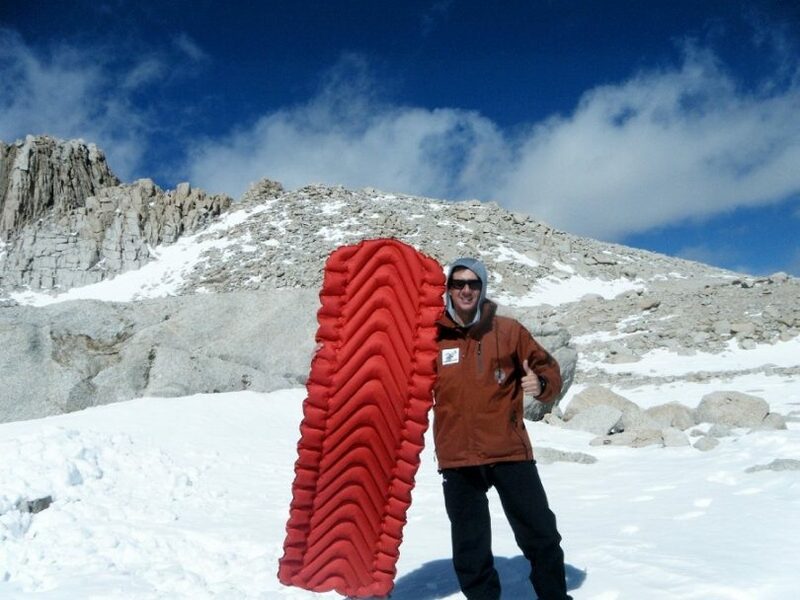 The weight of your sleeping pad is one of the most important factors. You don’t want to be carrying more than you absolutely have to. 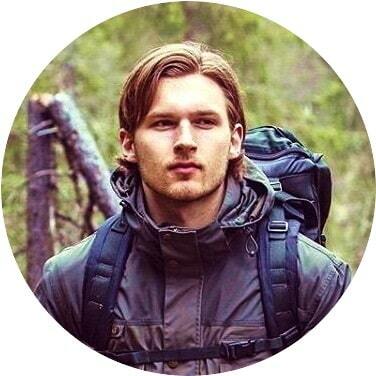 Carrying a slightly heavier pack for a day or two might not seem that bad but, once your hike exceeds four or five days, you will become increasingly tired. For some, however, comfort is more important than weight. Particularly if each day of hiking only requires a few hours of effort followed by extra time to relax and sleep. 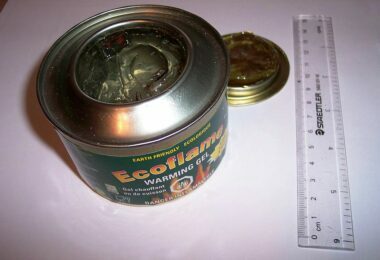 The lighter your sleeping pad, the more likely it is that you will sacrifice certain features and a degree of comfort. The size of the pad is also significant. The pad needs to be as compact as possible once folded or rolled up. Again, the more compact the pad, the more likely it is that you will sacrifice some level of comfort. Self-inflating pads are some of the most comfortable, but they are also bulkier. Foam pads are extremely lightweight, but they aren’t as compact as some other options. It’s also important to take note of exactly what is included and what is not. For example, some sleeping pads come with straps, others come with stuff sacks, and some don’t come with anything at all! 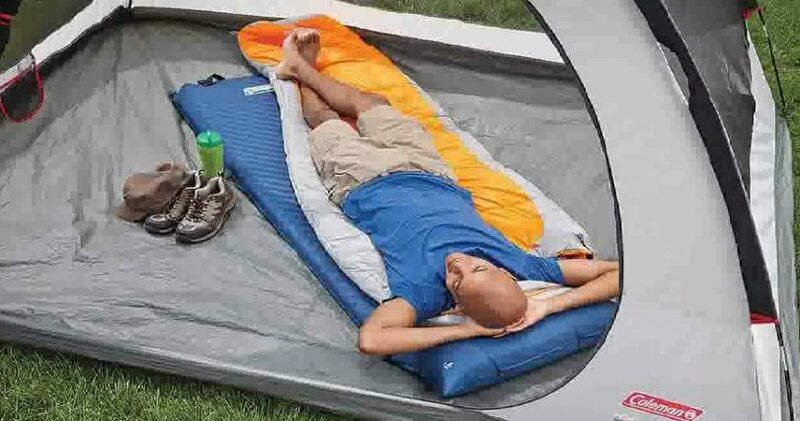 This sleeping pad retails for just over $70. As per the manufacturer, it is lightweight with a 4.4 R-Value which makes it great for all seasons. The v-chamber design along with the synthetic insulation limits air flow as well as heat loss. The total weight of this pad, when packed, is just 25 ounces but it can be compressed to a size of 5 x 8 inches. 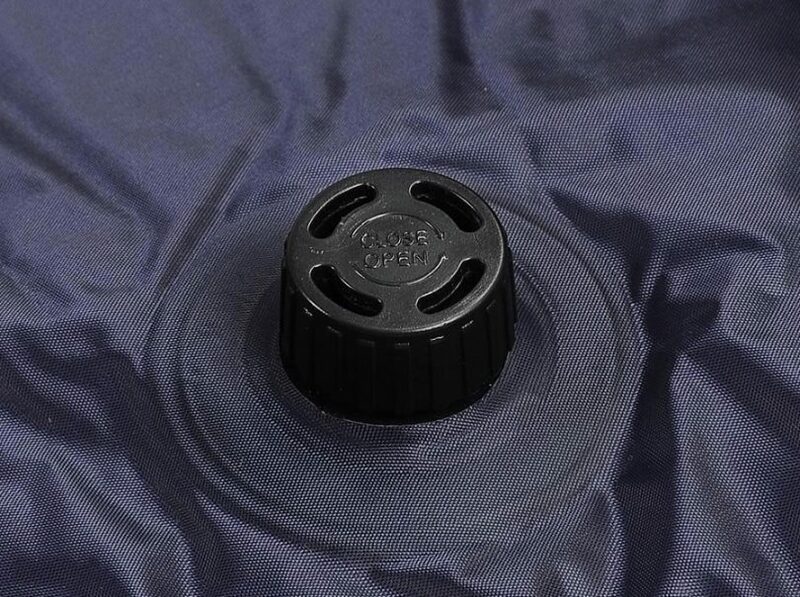 The valve is really easy to use, and it helps speed up the inflation and deflation of this pad. Inflation requires just 10 to 15 breaths! 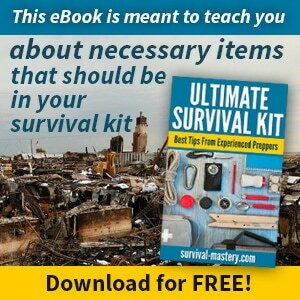 Included, you will receive a stuff sack, patch kit, and a lifetime warranty. This product has received some fantastic reviews but there have also been some complaints regarding comfort. This, however, could be due to the fact that these users are side sleepers and this pad is better suited for back sleepers. Another concern is that the pad can be tough to repair, and it must be used with a certain degree of care since the material is rather thin. It’s advised that you check the dimensions of this product very carefully before purchasing. It may not be suitable for certain users since it could prove to be too narrow. This sleeping pad is on the higher end of the price range at about $200, depending on the retailer. They are available in various sizes so take your body measurements into account and leave some room for error. Remember, you don’t sleep in one position all night, and you’re bound to move around – albeit a few inches. If you want to play it safe, buy one size up in order to enjoy more comfort. This pad is made from jet stream polyurethane open cell foam. The top fabric is diamond ripstop with polyester taffeta on the bottom. The weight of the pad varies depending on the size you order and the abrasion resistant properties of the materials ensure a long-lasting product. The brass valves that are part of the self-inflation system are non-corrosive which also ensures maximum usage. When ordering the extra-large size, you will enjoy the benefit of a thicker pillow area, added comfort, and two valves to speed up inflation. 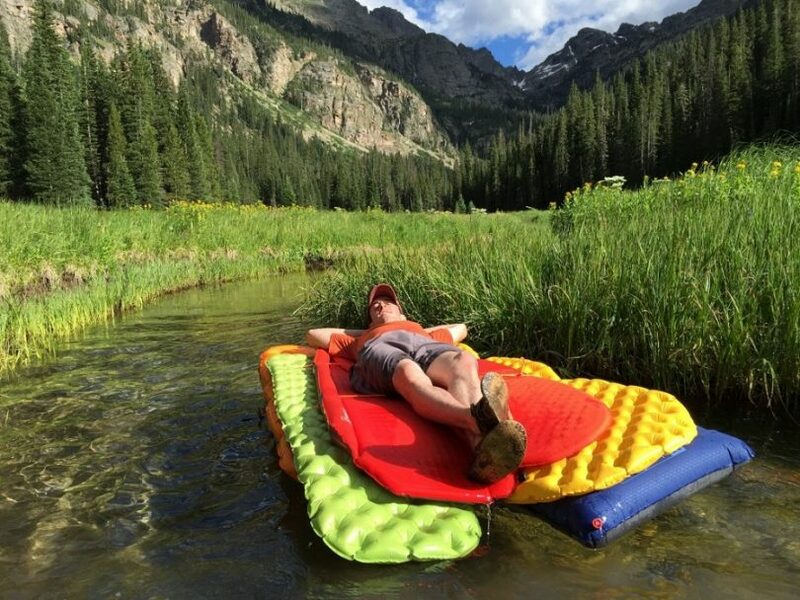 According to users, this sleeping pad is extremely comfortable. It does seem to have some issues regarding reliability and some make mention of breakage during inflation, holes, and a repair kit that doesn’t quite cut it. It’s important to inspect the ground before using any inflatable pad in order to ensure that there are no sharp or harmful objects that could result in damage. 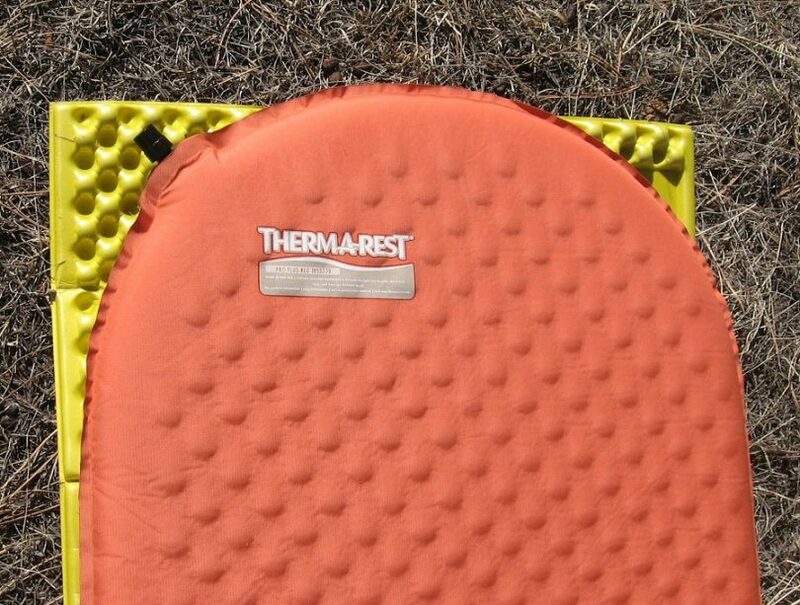 This sleeping pad retails for about $100, and it has the patent-pending advanced warmth ThermaCapture surface. This system allows the pad to reflect radiant heat back to warm your body rather than allowing it to escape to the ground below. They are lightweight, durable, and they feature soft peaks with valleys to trap heat. The R-Value of this pad is 2.8 which make it suitable for several conditions. It is also available in various sizes so make sure that you take your measurements into account when placing your order. Another important feature of this product is its lifetime warranty to help you rest even easier! The one main advantage of this pad over inflatable ones is the fact that it will not spring a leak. It’s also important to note that this pad is best suited for back sleepers since it is on the thinner side with minimal cushioning. It’s great for shorter trips but, if you are planning an extended camping adventure, you might want to invest in something with a higher level of comfort. At about $200 or more, this sleeping pad is on the somewhat more expensive side but worth the spend if you are looking for extra comfort. It has an R-Value of 3.4 which means that it offers four-season warmth. The diagonal-cut foam design is patent-pending, and the use of Atmos foam makes it easy to compress this pad even more than most other similar products. This is a self-inflating pad, and you will only need to top it off with a few extra breath to suit your preferred firmness. It’s important to note that this product does not come with straps or a bag which can prove to be a disadvantage. The self-inflating pads should also be stored in a certain way so that they inflate properly and don’t get damaged. Some users have noted the development of holes despite their best effort to prevent damage. Extra care is, therefore, essential when using this pad. Coleman is known in the camping and outdoor world for their superior products. This sleeping pad is for young children, and it retails for about $20. It’s important to note that this is not a product for adults! 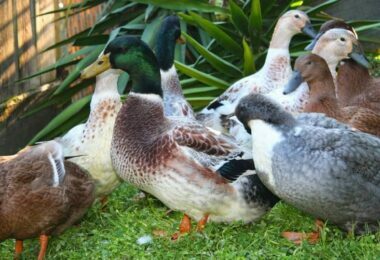 They are available in various colors and come with a 1-year limited warranty. This is a self-inflating/deflating product and no pump is needed. You might need to add a couple of breaths to reach desired firmness. Storage and transport is really easy thanks to the hook and loop straps. 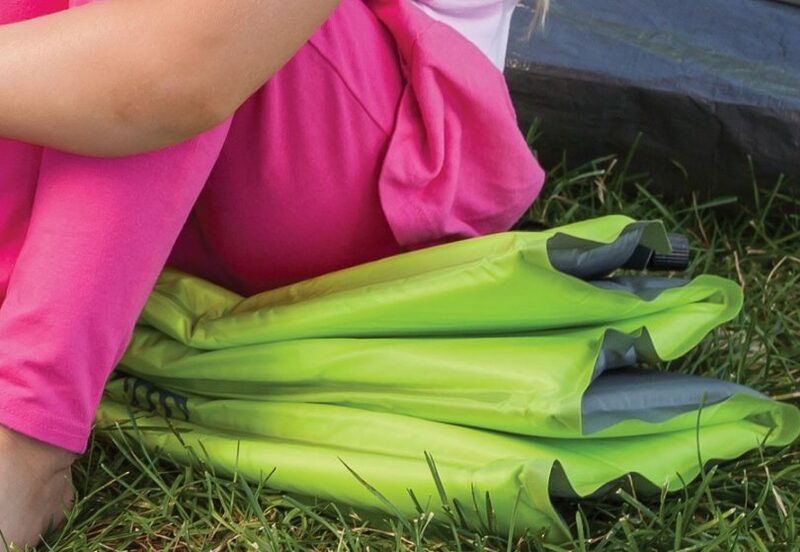 The shell is made from rugged polyester which means that it is also a wonderfully durable product – perfect for active kids! This pad is designed to be folded up and not rolled up like other models. This makes it even easier to pack between uses. It’s a good product for smooth terrain but not necessarily great for rough or bumpy surfaces. 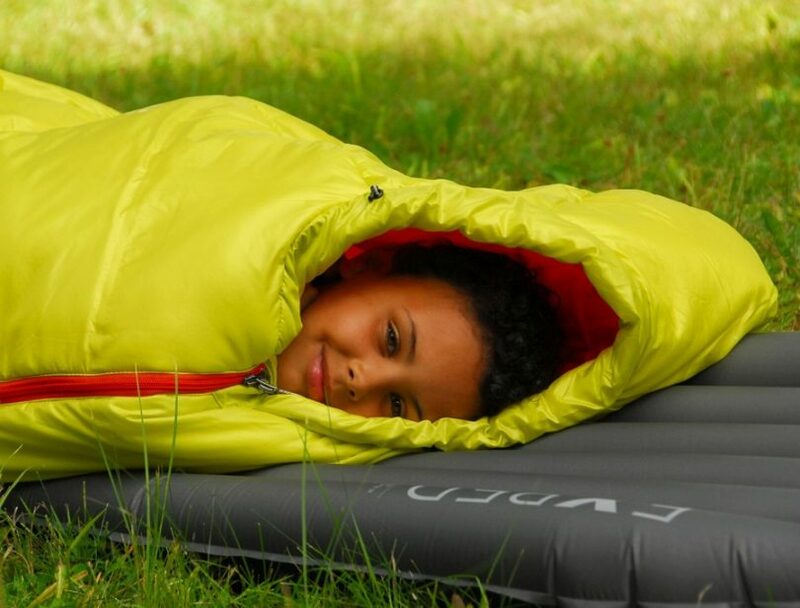 Another Coleman self-inflating sleeping pad, but this one is for adults and retails for about $35. Like the kids model, the self-inflating/deflating valves mean that you don’t need a pump. The compression straps make storage and transport easy while the nylon shell is durable and weather-resistant. This product has a 1-year limited warranty and is praised for its rapid inflation. Some users remarked that the pad requires manual inflation once the automatic self-inflation has finished. This is absolutely normal for all self-inflating sleeping pads since we all have different comfort preferences and needs. This need not be seen as a negative point but rather a positive point since it allows you to choose the firmness of the pad. It also helps protect the pad against over inflation and subsequent damage. 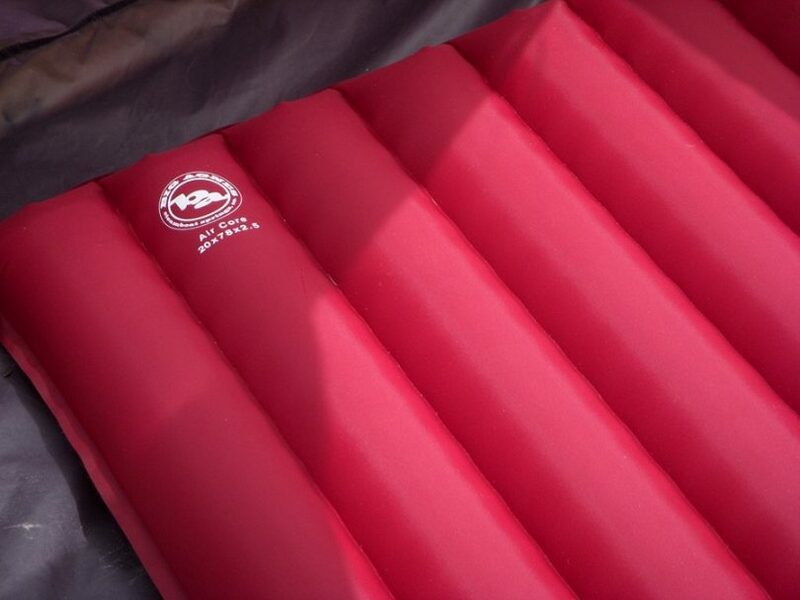 When considering some of the negative responses to this sleeping pad, it’s good to remember that it is one of the cheapest options out there, and this means that it might not be suitable for all weather or for long trips. Semoo is another well-known name in outdoor products, and this pad retails for just $25. 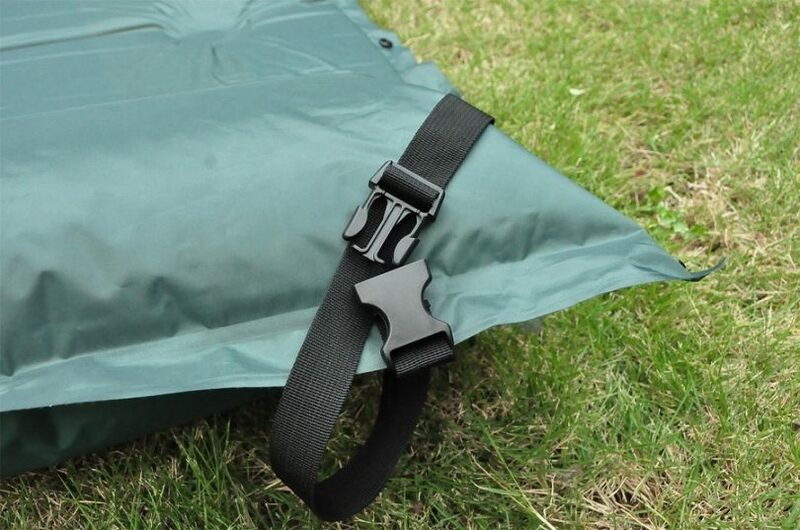 This sleeping pad features waterproof polyester taffeta, an inflating pillow, tough sponge filling, compression straps for storage, and 2 mats that can be strapped together to make a large one. Some inflation issues have been noted, and some users expressed dissatisfaction regarding the level of comfort. It’s important to note that any sleeping pad with an incorporated pillow is not ideal for stomach sleepers. This is one of the higher-end products at about $400. The fabric used is light, compact, and has an R-Value of 3.25. By using I-bean construction, welded seams are no longer necessary, and this reduces cold spots as well as speeding up inflation. The top and bottom are made from durable polyester with an internal polyurethane coating. They have a strong inflation valve and are available in various sizes. Some might find this pad a bit slippery. If you are a restless sleeper, it might not be the best fit for you. 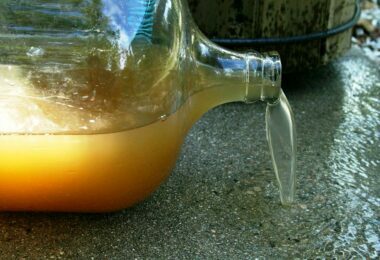 There have also been some complaints regarding leaks, so it’s important to use as directed and inspect the ground below before use. This reasonably-priced pad goes for about $40. The egg-crate mold design ensures comfort while keeping it lightweight. The foam is dense at the bottom and soft on the top, and the closed-cell foam makes it as tough as it is comfortable. The R-value of this sleeping pad is 2.2 which means that it’s good for most weather conditions but might not be ideal for extremely cold weather. There have been notes made regarding the foam becoming compressed after several uses and, since this is not a thick or highly padded sleeping pad, it might not be ideal for side sleepers. This product retails for approximately $20, and it is great for various uses as it is a self-inflating sleeping pad, and it has a built-in pillow. The pillow requires manual inflation which some might see as a disadvantage. However, this allows the user to choose whether or not they want to use the pillow. It also allows you to choose just how firm you wish the pillow to be. This sleeping pad is waterproof which means that the damp ground below will not be of any consequence. It comes with a carry bag and rolls up easily for fast storage and easy transport. These pads can be joined together if you want to make a double-sized sleeping area for yourself and your partner or a friend. The non-slip polyester design adds, even more, comfort when sleeping. As with all sleeping pads, it’s important to take the dimensions of this product into account before purchasing and make sure that you compare it to other products too. It is one of the cheaper products on the market and, as such, it might not offer as much comfort and durability. If you are planning a one or two day hike, this could be just the sleeping pad for you! However, if you enjoy regular long outdoor excursions, you might want to invest in a product that offers additional features. We don’t all sleep in the same position. Some people like to sleep on their stomach whereas others enjoy a side position or even flat on their back. Your preferred sleep position will play a significant role in your decision. For those who enjoy sleeping on their left or right side, you are best off using a thick pad that includes lateral baffles. These baffles run across from side to side and offer a higher level of cushioning and support. This is important to ensure that your shoulders and hips don’t get sore while you sleep. Baffles running along the length of the pad also help prevent you from getting “stuck” in the grooves. If you enjoy sleeping on your stomach, you will need to avoid pads with integrated pillows since they will only make you uncomfortable. 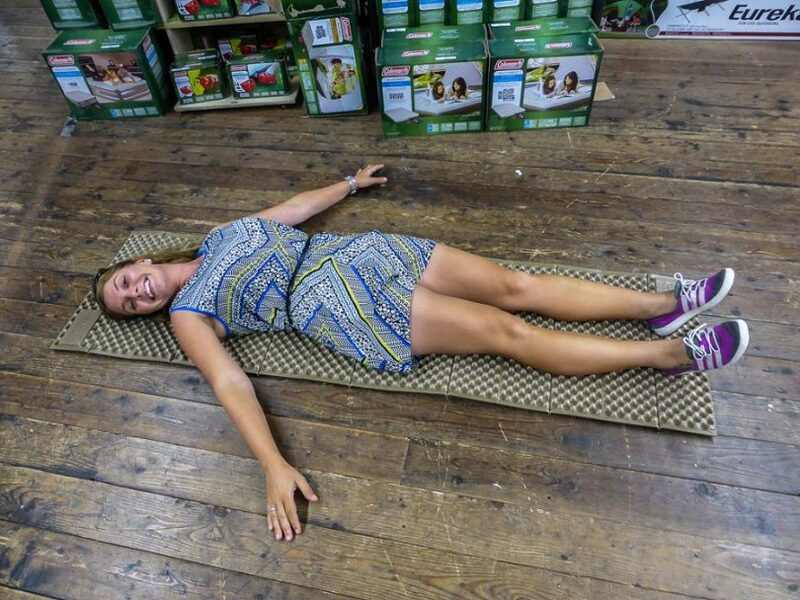 A level sleeping pad is a much better option for stomach sleepers. For those who enjoy sleeping on their backs, you’re in luck! You won’t need as much padding which means that you can go with the cheapest options. Of course, you can choose a thicker pad with added insulation if you like. Sleeping pads for women are shorter than those designed for men. This is why you need to take careful note of the length of the pad before you buy it. Some are happy with a close fit whereas others prefer some extra room for movement. If you are a restless sleeper, you will benefit from a textured model. It will help keep you from rolling off your sleeping pad. If you are concerned about the appearance of wear and tear, you might want to opt for a dark color so that stains are not as much of a concern. In the end, the important thing is, that regardless of your preferences, size or type of hike, you will always find a product that will suit your needs. As you can see, the market is filled with various designs and models and this puts you in direct advantage. 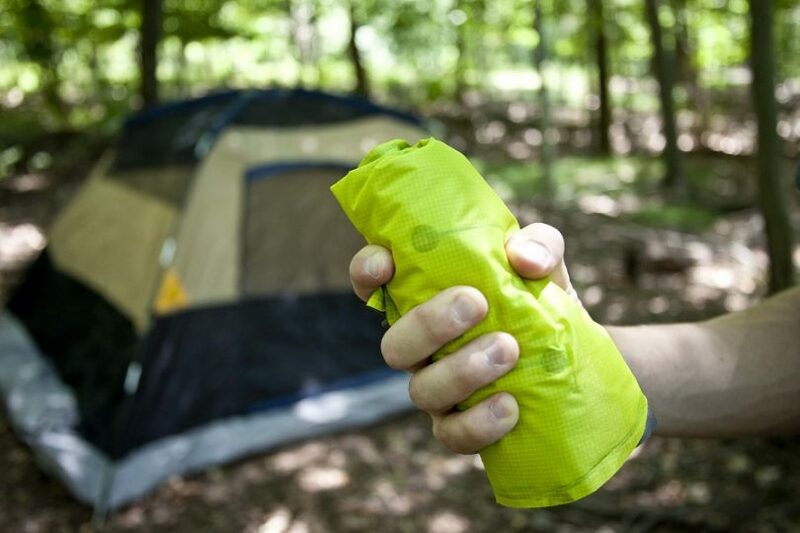 To give you the best ideas for the best camping gear to keep you safe, read our article on the topic before you leave on your next triip.